2017 Starcraft MX 23 LP Hit the water in-style with this luxurious Starcraft MX23-LP, Tri-toon pontoon. From bow to stern the MX23-LP's inviting and spacious seating arrangement, means there is a perfect seat for all of your guests. The dual port side bow recliners are perfect for an engaging conversation or just laying back and throwing a fishing line. 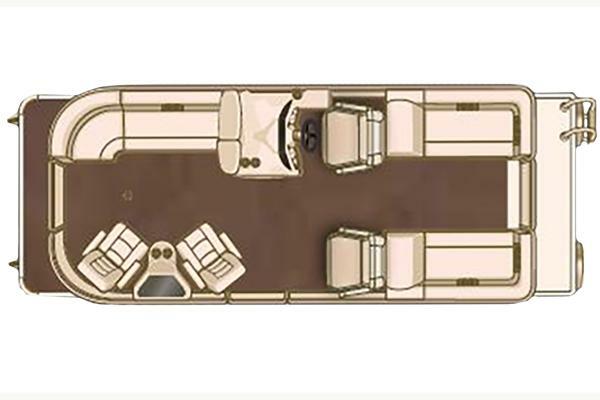 Her dual purpose rear lounges are perfect for soaking up some sun, or entertaining additional guests. A large rear swim deck is perfect to launching skiers or towables, and features a Heavy-Duty Ski-Tow as well as a sturdy Stainless Steel, 4-Step telescoping ladder. Her performance comes compliments of a Mercury 200HP Verado Supercharged engine. 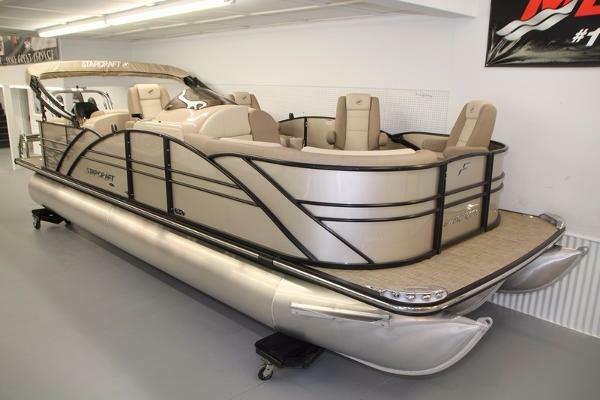 2015 Starcraft MX 23 LP The MX Series takes contemporary pontoon styling to the next level, with black anodized rails and 12 amazing layouts, including dual rear loungers and bar units. Optional HMX Performance Strakes pump up the excitement, and two great packages add the finishing touches.Prestige Package Helm Platform Lighted Cup Holders Babbito Lighting Polk Audio Murphy Touch Screen Ski Tow Bar V-Teak Flooring Boat Cover HMX Performance PR25 Package 200 Mercury 4 stroke Galley with Refrigerator .